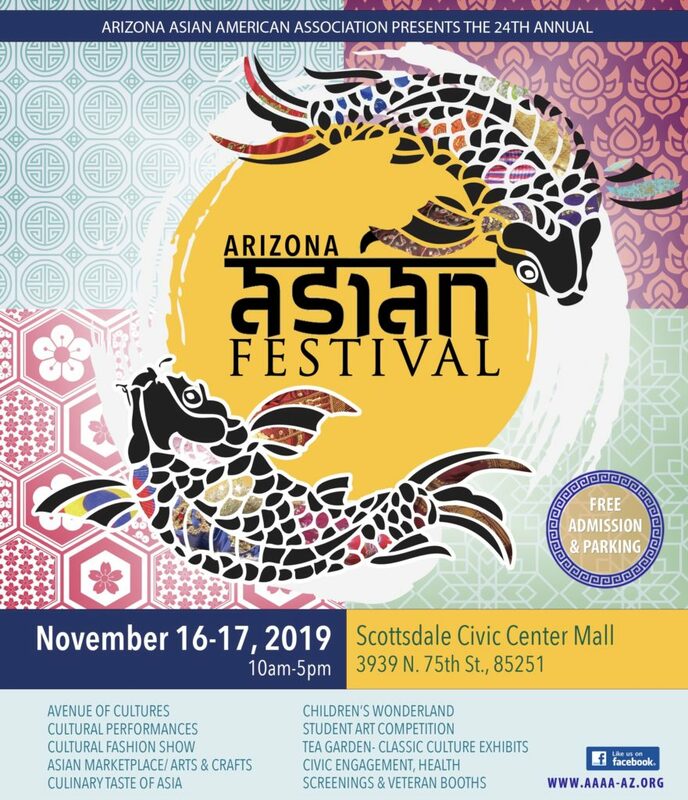 The Arizona Asian American Association shall enhance unity, bring awareness to the public of cultural diversity, and address relevant issues, thereby strengthen the relationship between Asian Americans and the community at large. © 2017 Arizona Asian American Association ~ P.O. Box 64864, Phoenix, AZ 85082. A 501(c)3 Non-Profit Organization|ProPhoto WordPress Blog by NetRivet, Inc.